Last night was the annual Coca-Cola Covert Concert at Flames Central. With hundreds in attendance, the audience was buzzing with excitement to hear the 2016 Coca-Cola stage lineup and for our two secret performers to hit the stage! 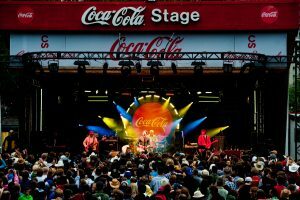 From today’s biggest stars such as Coleman Hell, Classified and Walk Off The Earth, the Coca-Cola stage is the place to be this year.